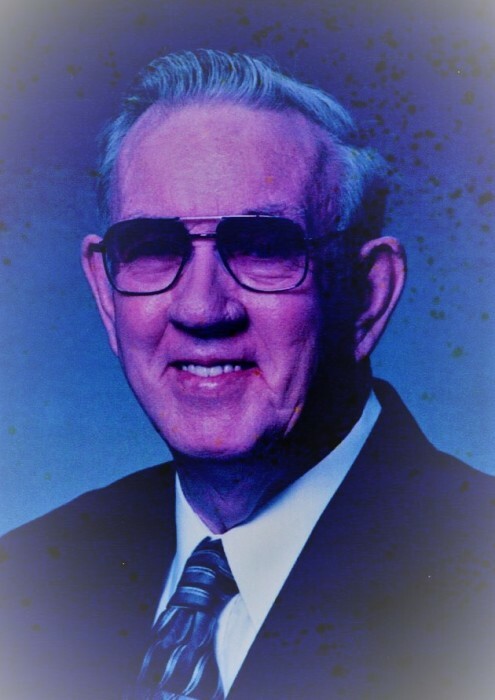 Kenneth B. Ginter, 85, of Lynn, IN passed away after a long hard fought battle with cancer, Monday afternoon, January 21, 2019 at Pine Knoll Rehabilitation Center of Winchester, IN, with loving family by his side. He was born October 14, 1933 in Montgomery County, Kentucky, the son of Sam and Anna B (Ray) Ginter. He honorably served in the US Army from 1954-1956 in Germany and Austria. He retired as custodian in 2002 from Randolph Southern Schools. Kenny had worked many years with Carlos Casket. He was a member of New Liberty Christian Church of Lynn, IN since the late 1960’s, where he had served as usher, greeter, trustee and many other positions. He leaves to cherish his memory a loving wife of 64 years, Geraldine (Centers) Ginter; two daughters, Rosetta Bartley (husband, Arthur) of Modoc, IN and Anna Ginter of Kissimmee, FL’ two grandchildren, Travis Bartley (wife, Pam) and Kimberly Craig (husband, Adam); six great grandchildren; five sisters, Mary Warren of Miamisburg, OH, Jane Prather of Mt. Sterling KY, Barbara Smith (husband, Okey) of Lexington, KY, Nancy Welch of Mt. Sterling, KY and Linda Alfrey of Mt. Sterling, KY; and several nieces and nephews. He was preceded in death by his parents; an infant daughter, Donna Kay Ginter; two brothers, Robert and Ronald Ginter; and five sisters, Hildred Haney, Beulah Thomas, Virginia Bolen, Louise Cockrell and Margaret Robbins. A service to celebrate Kenny’s life will be at 11:00 a.m. Saturday, January 26, 2019 at New Liberty Congregational Christian Church of Lynn, IN. Burial will follow at Fountain Park Cemetery of Winchester, IN with military honors. Family and friends may gather to share and remember from 5:00 p.m. to 7:00 p.m. Friday, January 25th at Wilson Shook Funeral Home, Thomas Memorial Chapel of Lynn, IN and one hour prior to services at the church. Memorial contributions may be made to Reid Hospice of Richmond, IN. The family would like to express a special thank you to Reid Hospice of Richmond, IN, his nurse, Julie and a special niece, Angie “Snoopy” White. Online condolences may be express at www.wilsonshookfuneralhomes.com.